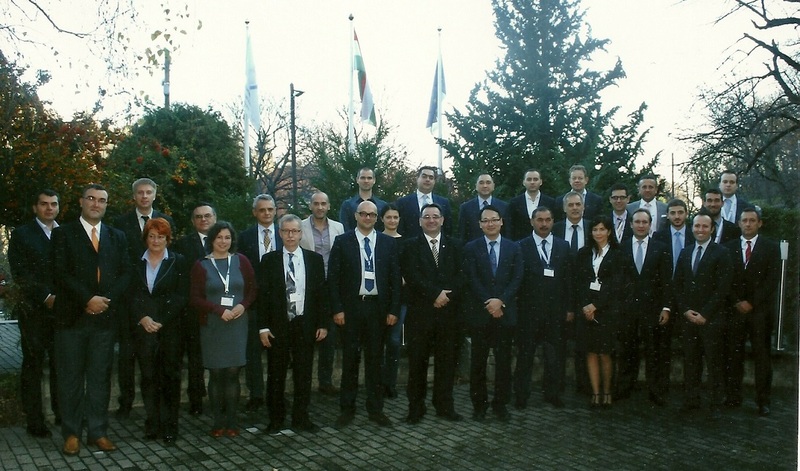 On 18-19 November 2015 WCO Europe Regional Workshop on Coordinated Border Management was held in WCO Regional Training Center in Budapest, Hungary. 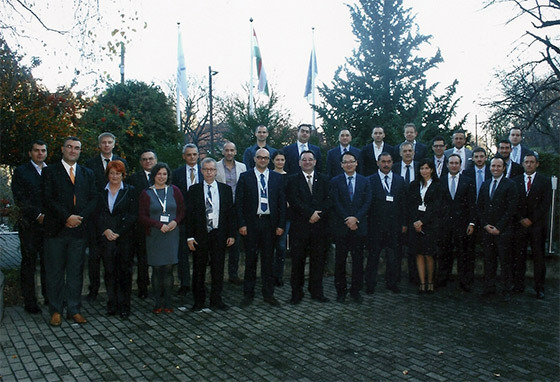 The workshop was organized by the World Customs Organization in cooperation with the Hungarian National Tax and Customs Administration and hosted by the Hungarian National Tax and Customs Administration funded by WCO Customs Cooperation Fund of China. The workshop started with speeches by Mr. K. Szabo from Hungarian National Tax and Customs Administration, Mr. Armen Manukyan from the WCO and Mr. H. Wu from the WCO. The workshop was attended by 32 participants from both European administrations including Albania, Armenia, Austria, Azerbaijan, Bosnia and Herzegovina, Finland, Georgia, Hungary, Kazakhstan, Moldova, Montenegro, Romania, Serbia, The Former Yugoslav Republic of Macedonia, The Netherlands, Turkey, Ukraine and global organizations such as OSCE, WCO, RILO-ECE, FRONTEX and Asian Development Bank. 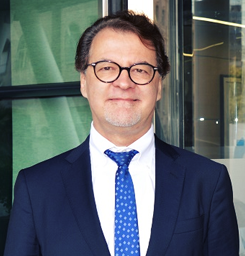 ROCB Europe was represented by Technical Attaché Mr. Ali Murat PALA. The major topics that were discussed at the workshop were Coordinated Border Management Implementation, Single Window, One Stop Shop and Trade Facilitation at the Border which were followed by practical examples of Europe region. Workshop started with a presentation of Mr. Manukyan in which information about World Customs Organization was given and CBM is described, WCO tools and instruments are explained. In the presentation, role of customs and CBRAs are explained, the benefits of CBM were introduced and the relevant pillars of RKC and SAFE standards. The concept of Customs Enforcement Network (CEN) and National Customs Enforcement Network (nCEN) were explained by Ms. Banaszek and Mr. Pryk. It is specified that the ability to exchange and disseminate information is critical to ensure effective border control. CEN database is a global system containing non nominal information that is managed by the WCO Secretariat and nCEN is designed to be installed on national servers and managed at the national level. It contains nominal/personal data. OSCE approach is explained by Mr. Janssens. Regional challenges both in international and national transit are discussed and then burden of customs procedures in specific countries and regions are denoted. As examples of OSCE support, platform for political dialogue, exchange of international best practices and capacity building, training and technical assistance in cooperation with partners are given. This is followed by the presentation of Mr. Procak on CBM Initiatives in the Central Asia Regional Economic Cooperation (CAREC) Trade Facilitation Context. It is stated that CAREC essentials are harmonization, cooperation and internationalization. Customs Cooperation in the areas of revised Kyoto Convention, CBM (JCC), Regional transit Trade (TIR complement), Consultation/dialogue with private sector, Risk management (AEO, SAFE framework) are discussed. In the presentation made by Mr. Pryk about CBM Implementation, it is stated that CBM is implemented for the optimal flow of goods and information between Customs, Cross Border Regulatory Agencies and Trade to enable effective and efficient border management. CBM provides a coordinated approach by border control agencies, greater efficiencies over managing trade and travel flows, maintains a balance in compliance requirements, responds to scarcity of time, manpower, information and infrastructures and makes better use of existing resources. Increased trade volumes, increased security threats, society demands and fiscal constraints require CBM for an enhanced risk management, resource efficiencies, internal and external policy cohesion and increased accountability/transparency. In order for those benefits to occur, success factors such as political will, legal basis, private sector buy-in and organizational will are vital. In his presentation Mr. Pryk also explained that Cross Border Management (WCO) matches Integrated Border Management (EU), Collaborative Border Management (World Bank), Comprehensive Border Management (OSCE), Border Agency Coordination (WTO). Moreover it is discussed that CBM is the solution to avoid slow clearance duration, delays, increased non-compliance, increased costs to trade as a result of duplication of inspections, silo mentality and poor coordination and organization of border control processes. Thus, it is pointed out that CBM would provide structured approach to border management, more efficient usage of human resources, and more effective risk management along with more benefits for stakeholders. Mr. Pryk also mentioned about inter-agency cooperation that is cooperation at local, regional and central levels between ministries or state with different tasks related to border management. And according to the international cooperation it can be cooperation at local level between officials on both sides of the border, cooperation between neighboring states (cooperative management of common border crossing, organization of joint patrols) and cooperation at the multinational level. In the implementation of CBM the key aspects are remarked as legal basis, information technology, border processes and human resources & training. CBM Project of FRONTEX that is an EU policy agency with its own legal entity and with an autonomous budget has been presented by Mrs. Niculiu. Capacity Building in terms of enhancing qualifications, managing resources and increasing technical capacities (R&D) by FRONTEX has been discussed along with its key factors which are divided into short term demands (expertise-based activities, proactive approach) and long term results (interoperability, expandability). Risk analysis, joint operations, training activities, R&D have been discussed, information about Hot Spot approach is provided regarding the policy framework. The coordination mechanism for Hot spot concept is European Union Regional Task Force. This was followed by a presentation by Mr. Wu on Trade Facilitation at the Border - Coordinated Border Management in which TFA Article 8: Border Agency Cooperation is discussed along with the requirements to get ready for border agency cooperation. Trade Facilitation Agreement covers simplification and harmonization of trade procedures and forms, development of single window, rapid release of goods, usage of international standards. Following this, Mr. Pryk explained TFA Article 10.4: Single Window. The TFA obliges the Members to establish or maintain a single window. Furthermore, it is pointed out that Revised Kyoto Convention guidelines cover the operation of Single Window. Hereupon some practical examples have been presented by Mr. Pryk and the workshop finished with a presentation by Mr. Manukyan on WCO Compendium on Single Window. In his presentation Single Window has been described and development of SW and the legal issues related to it have been explained. Throughout the workshop several participants made presentations about the CBM models in their countries. This was very beneficial for all the participants as it also provided a floor for well-directed discussions.